The Blue Ridge Mountains are teeming with opportunities for birding and wildlife viewing - particularly in the Roanoke Valley in Virginia&apos;s Blue Ridge. 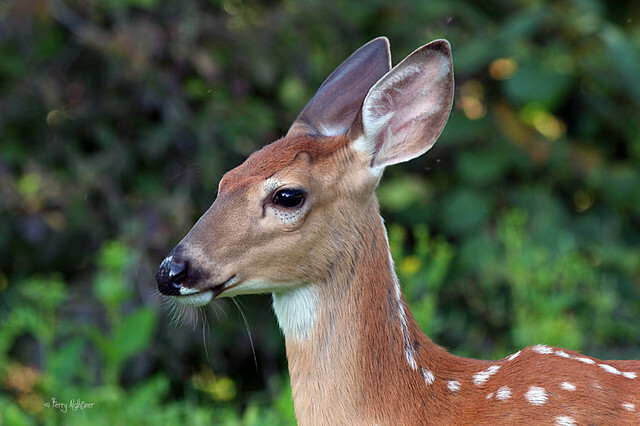 Deer, foxes, black bears and other native animals are often spotted by hikers and even by drivers along quiet roads. And ornithologists love Virginia&apos;s Blue Ridge for its wide variety of birds, including raptors like red-tailed hawks and bald eagles, as well as water birds like geese, wood ducks and herons. Perhaps the favorite subjects of birdwatchers are songbirds, such as the northern mockingbird and the hooded warbler. The Roanoke Valley has lots of great places to spot wildlife, including nature preserves and parks as well as along hiking trails and greenways, quiet country roads, and on the valley&apos;s rivers and lakes. Watch a doe lead a fawn to water as you paddle along the James River, see a group of bear cubs scurry across the road as you drive along Blue Ridge Parkway, and listen to the native birds chirp as you hike along the Appalachian Trail. You&apos;ll find out animals and visitors both have all kinds of fun during a Blue Ridge Day! 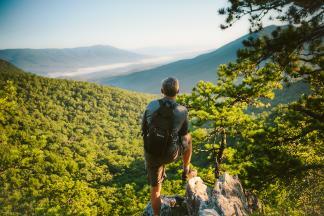 The Roanoke Valley in Virginia&apos;s Blue Ridge features expansive mountain vistas and endless forest trails. Don&apos;t forget your binoculars! The following is a list of places for birding and wildlife viewing in Virginia&apos;s Blue Ridge. Over 600 miles of hiking & biking trails have earned us the title of "Best Trail Town" in the Blue Ridge Mountains.